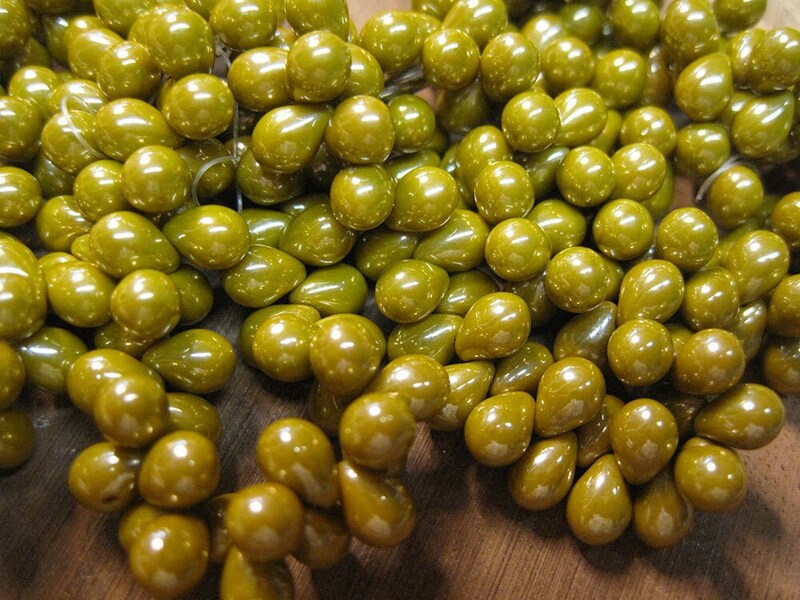 50 opaque mustard luster Czech pressed glass teardrop beads with gold finish. Beads are top drilled and measure 5mm x 7mm. Love the color and shape.